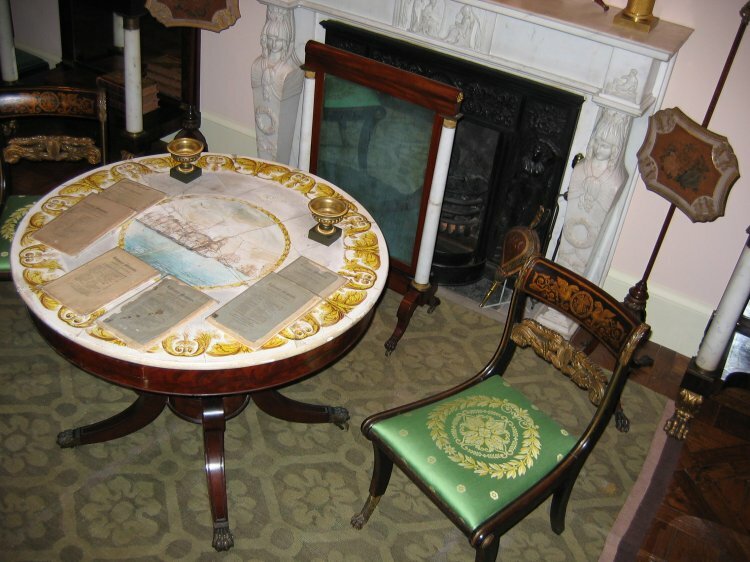 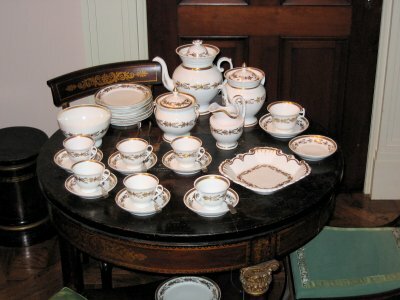 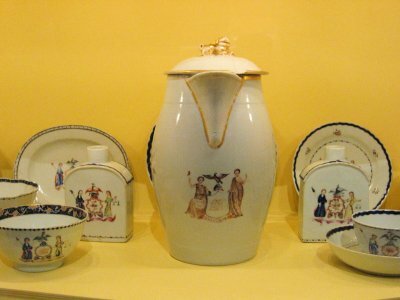 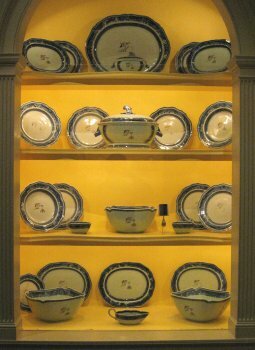 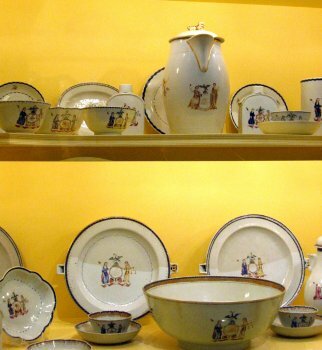 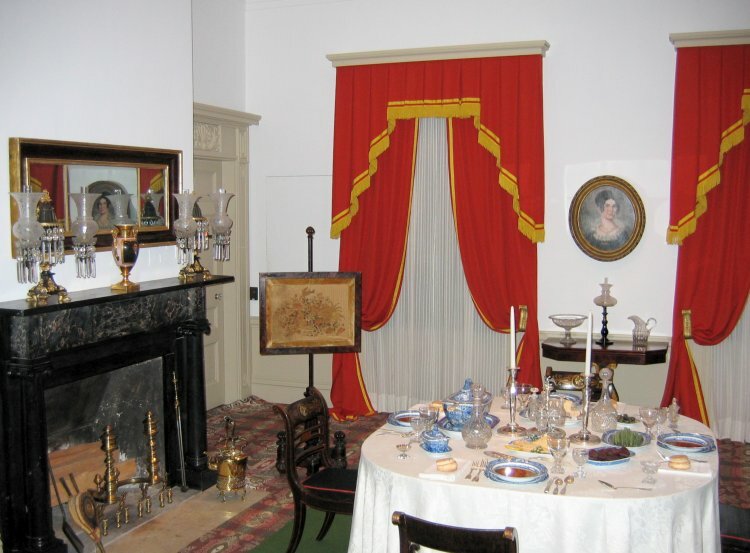 One of the most prized collections in all of Winterthur is 66 pieces of china that were owned by George Washington and used in the White House. He coveted it for a while before he was able to talk the seller down to a price he was willing to pay. The White House has the official china of Washington's administration. 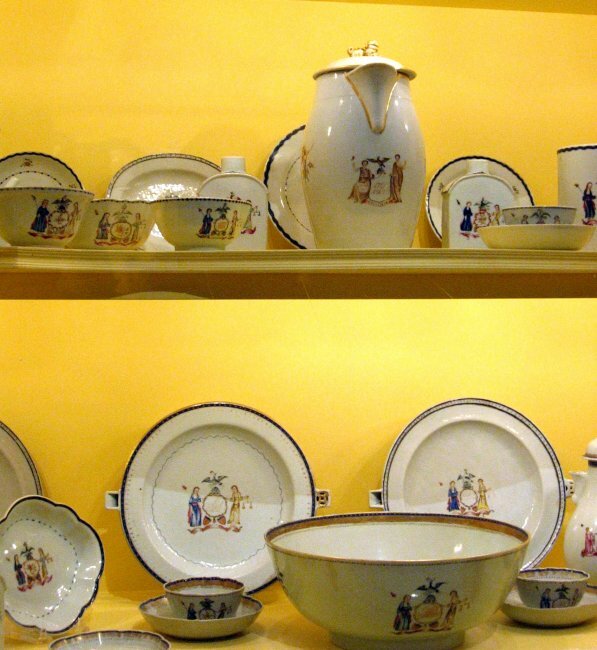 You can buy reproductions of this set in the gift shop. 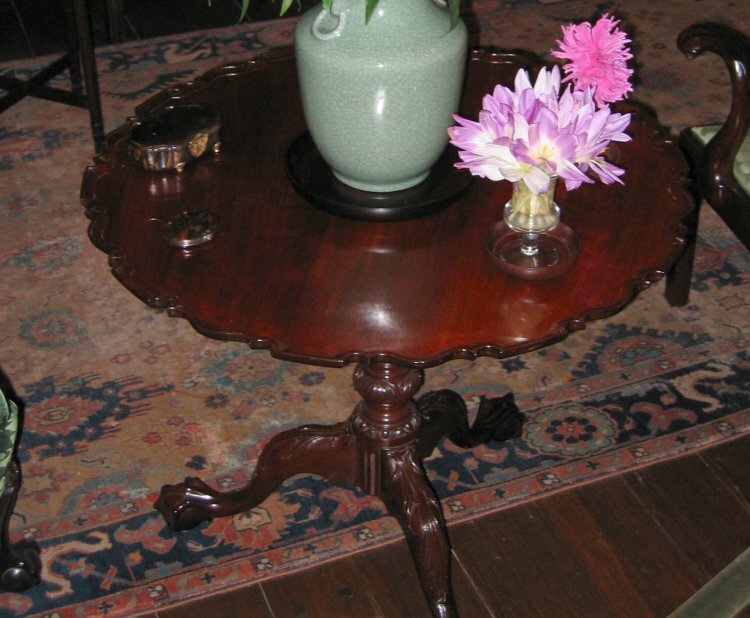 The top of this table is all one piece, including the rim. 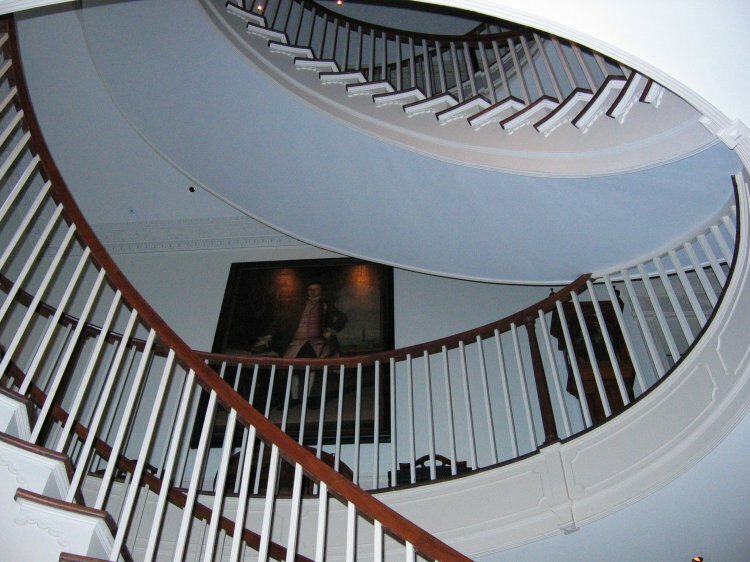 An oval staircase in a room with a theme of ovals. 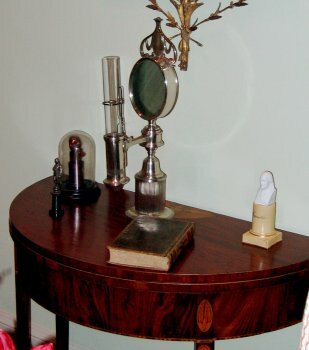 An early Argand lamp, a great leap forward in illumination over candles.